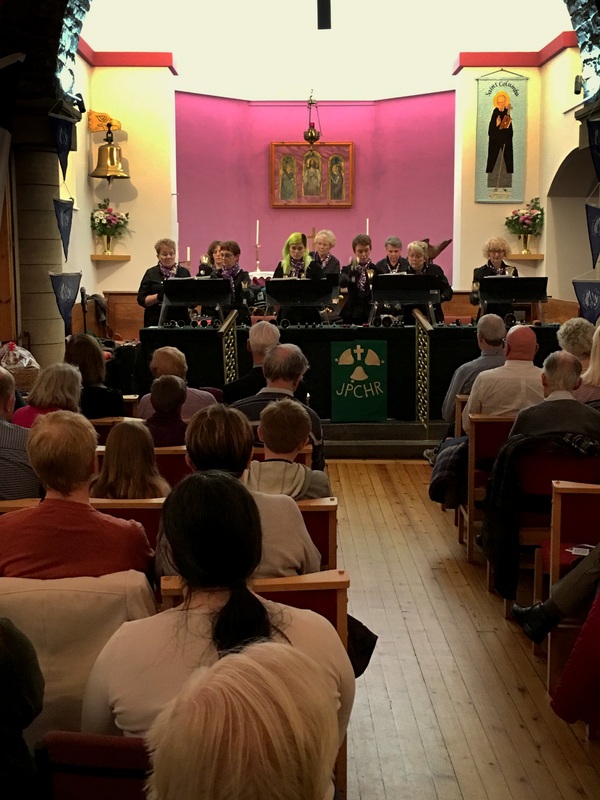 On 16th November, the Jordanhill Handbell Ringers very kindly put on a fundraising concert for us in St Columba’s Episcopal Church. The Jordanhill Parish Church Handbell Ringers played a range of music from specially written pieces for handbells to Christmas carols and ending with a handbell setting of “Eternal Father strong to save”.Everyone really enjoyed it which was evident by the comments received afterwards and the emails sent in to the mission. The concert raised just over £550 which is equivalent to 1½ days running costs which we are really incredibly thrilled about. The generosity of the The Jordanhill Parish Church Handbell ringers and the Church group in not taking a fee greatly assists the work of the Mission here in Scotland and is really appreciated by the Trustees and Chaplain and, through the funds raised, the seafarers visiting our Scottish ports. Sign up for our newsletter for advance notification of future events.